According to MLB Trade Rumors, Juan Pierre’s agent told MLB.com that he’d be willing to waive his no trade clause for a ticket out of LA. He’s another bad contract player that the Mets may be eyeing as a swap for Luis Castillo’s bad contract. The Dodgers are losing Jeff Kent to free agency and Blake DeWitt, a natural third baseman, was getting playing time at second base anyway. 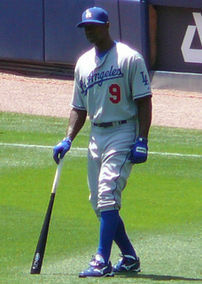 The Dodgers will need to be in the market for a second baseman. Pierre has 3 years/$28.5 million left on his deal. And although he’s not an ideal fit skill-wise for the Mets, his contract matches up fairly well with Castillo’s 3 years/$18 million. Pierre’s performance dropped off this year due to a lack of at-bats. The Dodgers have a log jam in the outfield. Pierre will only be 31 years old next season, not too old to make a contribution. He’s consistently getting around 200 hits when he plays every day. He doesn’t take a lot of walks but he could be slotted into the number two spot in the lineup, or at the bottom of the order. He’d be able to handle left field which is an area of need for the Mets as well. The official announcement about Mike Piazza’s retirement hit the media today. He hasn’t played all season so it shouldn’t be a surprise to anyone. 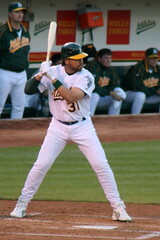 Since leaving the Mets after the 2005 season he bounced around to the Padres and A’s. He didn’t sign with anyone this season. I’m not sure if that was his choice, but I doubt it. Otherwise, he would’ve announced his retirement after the end of last season. Piazza is a first ballot Hall of Famer due to his monstrous offensive numbers for a catcher. He wasn’t much of a defensive catcher… he only threw out 23% of runners stealing on him. I was surprised that the SNY crew during the game today mentioned that he played well defensively. I seem to remember the Marlins (Juan Pierre and Luis Castillo) running at will against Piazza. By the way, he’s not gay.